Day 13! Wow!!! time has really been flying by so quickly, but of course that is how the saying goes. Time flies when you’re having fun. Everyday thus far has been filled with lots and lots of walking, ton of steps, countless swipes of the Metro pass, amazing architecture, kind and helpful Parisians, plenty of bread… well the list can go on. 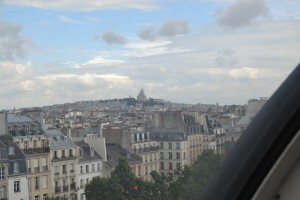 There is so much more Paris has to offer and it makes me sad to think that our time here is almost over. There is so much more I wanted to see and do. Oh well, more reason to come back and visit again in the future. 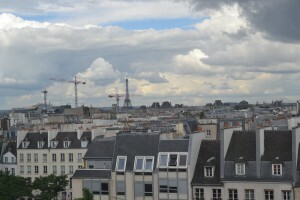 Paris is filled with wonderful museums and galleries. 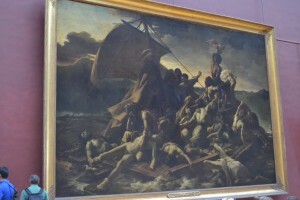 I had the pleasure of writing my last blog about our visit to The Louvre. 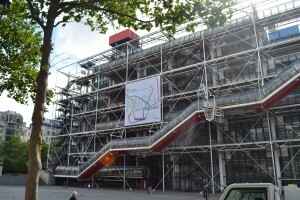 Today our visit was to another museum, the Centre Pompidou. one of the architects who played a part in the renovation of the Harvard Art Museum. I had the opportunity last summer to take a tour of the Harvard Art Museum with one of the local architecture firms in Boston. There was so much planning that goes into putting together a renovation project like that. 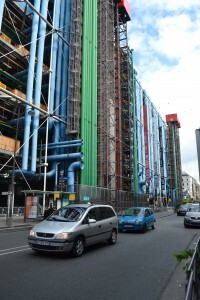 I can’t imagine what it took to plan a unique building like the Centre Pompidou. It actually looks like it hasn’t been finished which is a feature that many were very unhappy about. The building is so different from the surrounding architecture and neighborhood that I can see how it could upset many. The buildings exterior actually includes parts of a building one would normally find inside and usually hidden from view. Here the architect has put the pipes, and other mechanical aspects of the building on the exterior. One advantage of having for example the escalator on the outside of the building it allows for uninterrupted space for the exhibits inside and gives the visitors an amazing view of the surrounding neighborhoods and other areas of Paris. 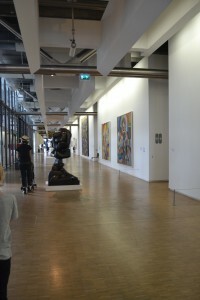 The artwork found in this museum is contemporary works from all over the world. 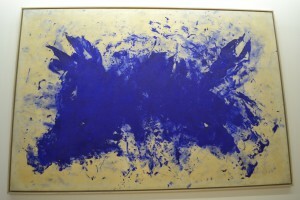 Artists such as Jackson Pollack, Matisse, Magritte, Warhol, Yves Klein, and Kandinsky just to name a few are on display. 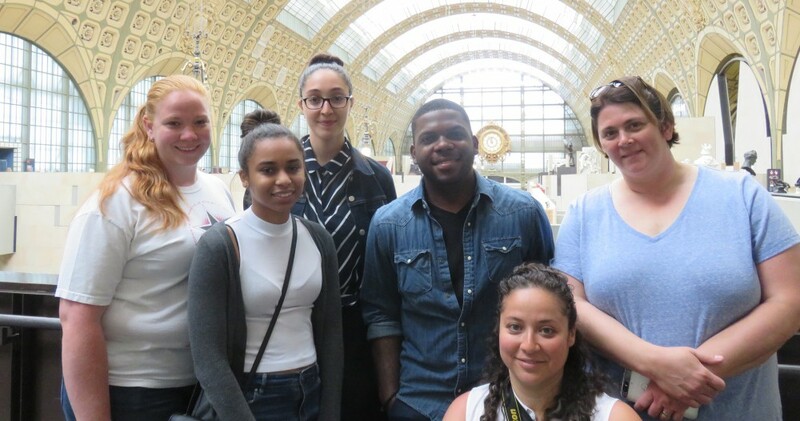 Our walks through the museums give us a chance to travel through time and see how art has changed throughout history and how history has changed the art world. We look at works like those that hang in the Louvre and we see how technically superior these works were. Artist painted the human form in ways that one could see the tension in the muscles, veins in the arms, and down to the smallest details and hairs on their heads, like the Raft of the Medusa which hangs in the Louvre. The clothing was so detailed that one could almost feel the texture of the fabric. As we approach the 19th and 20th century we see how artists are no longer painting and creating art in this way. Yes, of course there are people still making works of art that are similar to the paintings of the Renaissance but artist are now exploring areas that once in history would never have been accepted as real art. Artist like Manet paved the way for artist to begin exploring other way of painting. Where does a creation become a work of art? Artist during this period are pushing the boundaries and challenging the viewer. The subject matter is not always obvious. 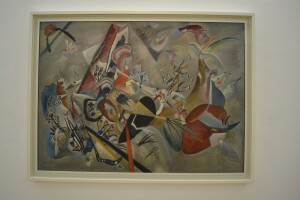 Artist like Vassily Kandinsky and Yves Klein are making images more abstract. 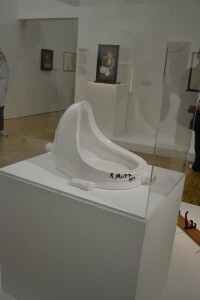 Artist are pushing the viewer to think and contemplate the meaning of the work. 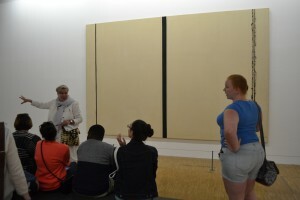 Shining Forth by Barnett Newman struck up a discussion about what art is and what the artist intentions were. We began to analyze and discuss the painting and each of us shared a thought about how it made us feel as well as what we thought the artist was trying to say. Contemporary art is definitely not for everyone. It can be difficult to swallow at times and definitely very confusing. Personally I have grown to love this kind of art. I really enjoy how the artwork pushes me to really think and make my own interpretations. 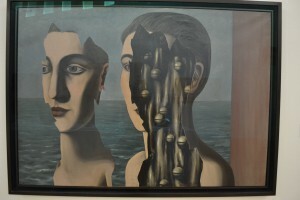 It pushes me to questions not only the meaning of the work but why did the artist use the specific medium, technique, tools, surface, canvas size or lack of a canvas all together. All of it could be playing an important role and I find that fascinating. This entry was posted in Uncategorized by veronica_iria@student.uml.edu. Bookmark the permalink.